In its last game before the Copa Del Rey, Barcelona looked quite angry. 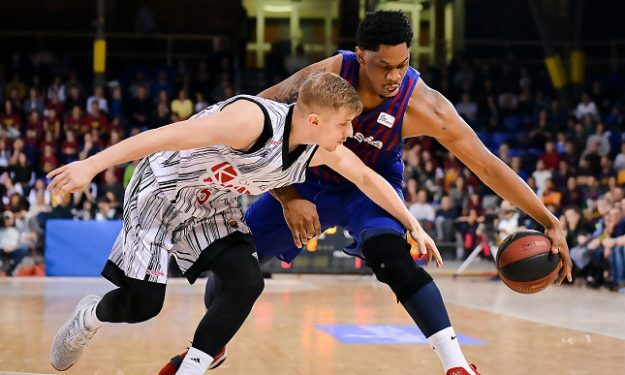 Kevin Seraphin scored a season-high 20 points and grabbed seven rebounds in 21:16 minutes as Barcelona crushed Fuenlabrada 106 – 76 to improve its ACB record to 17 – 3. The Blaugrana are not only first in the standings but also have a two-win distance from the second place. Barcelona finished the first quarter up 24 – 15 and took a 23-point lead, 59 – 36, at halftime. Fuenlabrada showed a bit of a reaction after the break but the Blaugrana closed the match in a dominant fashion. Kyle Kuric added 16 points while Thomas Heurtel had 15 points and nine assists. Artem Pustovyi also scored 15. Pako Cruz (22 points) stood out for Fuenlabrada. The team from Madrid, that was coached by assistant Jose Maria Raventos following Nestor Garcia’s resignation, dropped to 7 – 13.